The M23’s recent abandonment of its armed struggle has renewed hopes for peace in the Democratic Republic of Congo (DRC). However, it also underlines a major problem that has characterized peace negotiations over the past decade – namely their primary focus on the “noisiest” actors whose actions aim to shock the collective international conscience. For peace to be sustainable, greater efforts are needed to localize peace initiatives. On 5th November 2013, the Head of M23, Bertrand Bisimwa declared that the organization would henceforth end its armed revolt in the eastern DRC and pursue its objectives through political dialogue. This change of approach can be explained by four factors. First, the M23 experienced some important losses on the battlefield after the United Nations bolstered its MONUSCO stabilization mission with an intervention brigade that possesses a robust mandate to neutralize armed groups. Ground was also lost to the Forces Armées de la République Démocratique du Congo (FARDC) after it was strengthened, restructured and made more capable of going after M23 rebels. In addition, diplomatic pressure and suspension of development aid, mainly by the United States and European Union, prompted Rwanda to decrease its backing of the M23. Finally, the appointment of Mary Robinson as UN Special Envoy for the Great Lakes Region and Russell Feingold as US Special Envoy for the Great Lakes and the Democratic Republic of the Congo and their diplomatic engagement has undoubtedly played a part in moving the warring parties from the battlefield to the negotiation table. As a result, the parties have now signed two declarations in Nairobi under the auspices of the International Conference on the Great Lakes Region (ICGLR) and the Southern African Development Community (SADC). They now agree on 11 key points, most notably that the M23 has ended its rebellion and will transform into a political party. In return, M23 members will receive an amnesty that covers certain acts of war or insurgency. Other provisions include the return of refugees and internally displaced persons, the release of prisoners currently detained by the government and the creation of a commission to settle questions over the status of confiscated or looted land and property. These recent developments are certainly promising, but they are not without risks. For one, the most recent peace negotiations in Kampala and Nairobi have only focused upon those armed groups that have reached a critical size and, are therefore, capable of taking strategic locations and thereby attract international attention. The taking of Goma, the capital of North Kivu, by M23 forces in November 2012 is a case in point. However, other rebel groups, such as Raia Mutomboki, the Forces Démocratiques de Libération du Rwanda (FDLR), the Forces de Résistance Patriotiques de l’Ituri (FRPI) or the Patriotes résistants congolais (Pareco), also pose a daily insecurity for the population in eastern Congo. Yet, because they only control a small amount of territory, they are often excluded from peace talks. Of course, the prioritization of one armed group at high-level negotiations could be explained as a preventive measure to discourage others from resorting to violence in order to get a seat at the table. However, this overlooks an important point: if only the “noisiest” actors are considered, others are likely to be more inclined to try and shock their way into the collective international conscience. This was certainly the case with the Congolese peace negotiations held in South Africa in 2002/03. 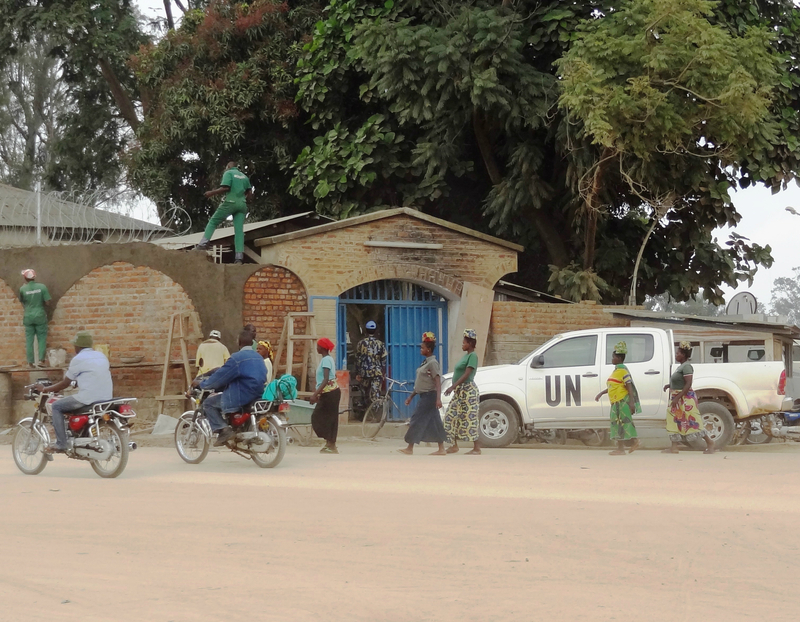 While other rebel groups were invited to the talks, most of the armed groups active in the northeastern district of Ituri were not considered. This led to even greater violence on the ground as they attempted to make themselves heard by letting their arms do the talking. Moreover, not only are smaller and less visible armed groups quite often not considered in peace processes, the focus is too often exclusively on the “troublemakers” rather than potential “peacemakers”. It is indeed a strategic choice of many international actors to interact with the belligerents in the first place. However, negotiations that are perceived as benefitting only a selected group of belligerents risk sending out the message that political motives can be best achieved by taking up arms. This is a notable challenge in DRC, where the creation of a rebel group has become a common way to express political discontent. A durable peace process does not only require calming those who threaten it, but also the inclusion of actors that can build and sustain it. However, increasing the number of actors at the negotiation table is not without its fair share of challenges. Civil society actors are quite often highly politicized and sometimes fail to consult with their local constituencies if peace negotiations are held outside of the country. In the case of the DRC, while they were formally included in negotiation processes, substantial decisions were often taken in closed meetings from which they were excluded. So, besides attempting to include more actors at the formal negotiation table, peace processes at the national and international level should also be localized in order to better guarantee their legitimacy on the ground. This is crucial for the peace process in the DRC. What has been decided at the negotiation table must be localized by integrating it into a broader national dialogue. This will inevitably mean addressing issues such as the land conflicts that remain rampant throughout the eastern part of the country as well as strengthening social co-existence between different ethnic groups. Indeed, some international NGOs and UN agencies have already started to engage in mediation of social conflicts at the local level. But that does not mean that they should replicate what local peacebuilding actors are already doing. Instead, external agencies should be working to complement them according to their comparative advantages so that local efforts gain in importance and scale. This, in turn, needs long term investment and an in-depth understanding of the local context, rather than an approach that is purely driven by shocking events and crisis management. Sara Hellmüller is a program officer in the mediation program at swisspeace and a PhD candidate at the University of Basel. “Mediation Perspectives” is a periodic blog entry provided by the CSS’ Mediation Support Team and occasional guest authors. Each entry is designed to highlight the utility of mediation approaches in dealing with violent political conflicts. For more information on issues and events that shape our world please visit the ISN’s Weekly Dossiers and Security Watch.